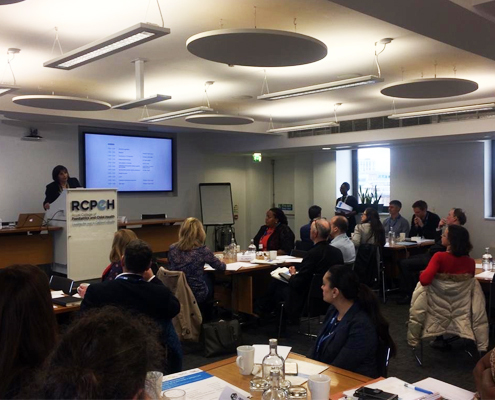 NIHR CYP MedTech, Young Epilepsy, and the Royal College of Paediatrics and Child Health (RCPCH) hosted an epilepsy innovation workshop on 27 March 2019 in London. The event was chaired by Professor Helen Cross, the Prince of Wales’s Chair of Childhood Epilepsy and lead for the NIHR CYP MedTech’s Epilepsy, Movement and Muscle Disorders theme. Speakers included Professor Paul Dimitri, Director of NIHR CYP MedTech, Dr Colin Dunkley, a Consultant Paediatrician, Victoria Urban, a Clinical Nurse Specialist, Dr Peter Jarritt, Deputy Director of the NIHR Brain Injury MedTech Cooperative, Kirsten McHale, a Nurse Consultant and patient representatives from a family affected with epilepsy. Delegates were able to take part in interactive breakout groups in order to discuss current solutions and future developments required to improve early seizure detection, communication between patients and clinicians and interoperability between registries and databases. The delegates at these discussion groups had similar opinions on key advances that need to be made to improve this area of paediatric health care. The organisers will follow up with these needs and hope that the workshop will lead to future collaborations and innovative research projects that address identified areas of unmet clinical need. NIHR CYP MedTech would like to thank the other organisers , RCPCH and Young Epilepsy for helping to facilitate. 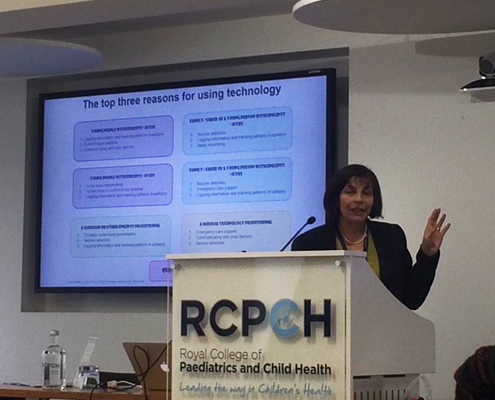 NIHR CYP MedTech would also like to thank speakers, industry sponsors, and delegates.